Thermowell for Speidel Tanks which are equipped with a DIN10 male threaded fitting in the tank wall. Tanks larger than 220L which we order for regular stock during wine season are equipped with a single DIN10 fitting, which comes capped. This fitting will accomodate either this Thermowell or an H587 Sample Valve. This item is not intended for use with tanks ordered as part of our PreSeason Sale. If you did not order a GERT or GERSV option then your tank does not have the required DIN10 male fitting on it. We cannot weld this fitting in to your tank wall. 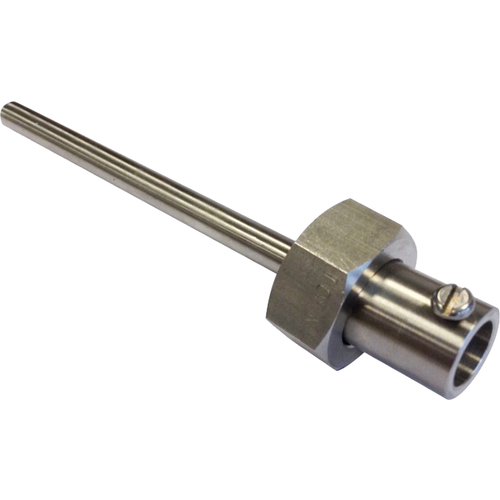 However, if you ordered the GERSV on your PreSeason Tank then you can replace the Sample Valve with this Thermowell.